Ask nearly any wedding guest what makes or breaks a wedding reception, and the answer will almost always be the music. Did the DJ spin a solid mix of songs? Was the band any good? Did they play what people wanted to hear and keep the dance floor packed? When planning your wedding, it feels like there are a lot of expectations to live up to, including your own! When it comes to musical entertainment, the first question to ask yourself: Band or DJ? Before you take too much time pondering the ins and outs of hiring one or the other, start with these basic influences: mood, budget, and venue. Looking at how your wedding plans measure up in these three categories may help sway, or full-out solidify, your decision. Mood: Consider what type of feeling you’re trying to create at your wedding. Is this a black-tie event that’s begging for a big brass band, or an all-night party complete with hot pink uplighting and dance jams? Determining the vibe of your wedding will also inform your best choice in music. Budget: By and large, bands cost more than DJs. That’s just the way of the world! Of course, some super well-known DJs can cost as much as a band, but those instances are rare. 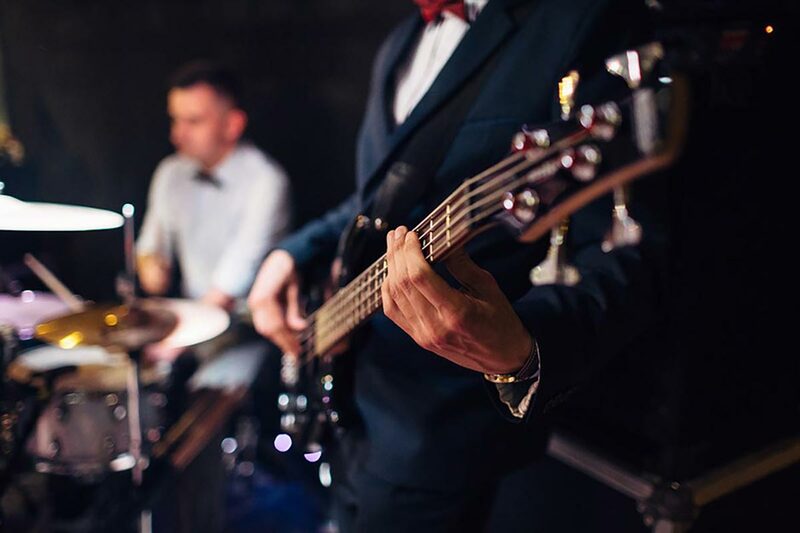 Venue: If you’ve already booked your reception site, it’s best to start with their entertainment rules and guidelines to see if your band vs. DJ decision has already been made for you. Certain venues can’t accommodate bands due to noise restrictions, while others simply don’t have the electrical capacity to power a full band. If you pass these three tests and are still unsure, there’s more to consider. We turned to some Wisconsin brides to weigh in on the band vs. DJ debate. Ask Yourself: Would You Rather? Before signing with a band or DJ, see them perform live or ask them to provide a taped performance for you to view. Ask for referrals from former clients so you can follow up with them about their experience. Be upfront about your likes, dislikes, and expectations. Inquire after their contingency plans, should anyone fall ill or find themselves in a family emergency on the day of your wedding. Have your first dance song in mind and make sure they can accommodate you. Do your due diligence, then relax. 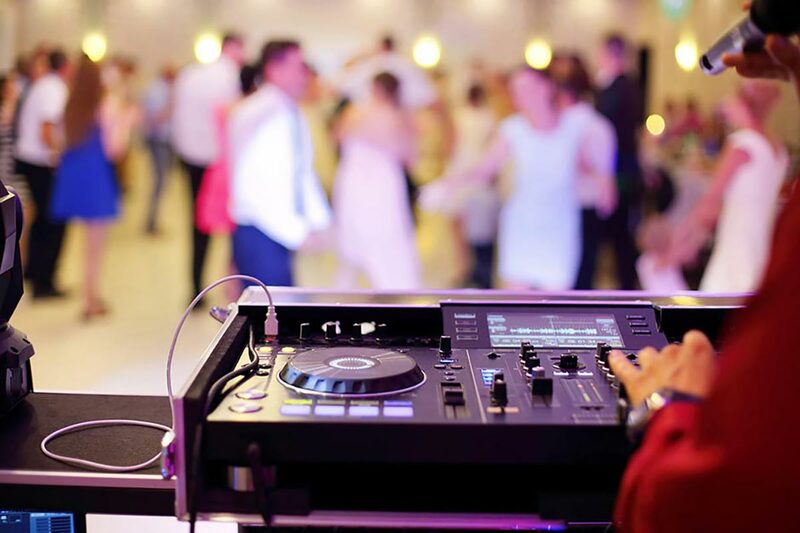 You and your wedding guests will contribute to the energy on the dance floor, which together with your band or DJ will ensure an unforgettable night of movin’ and groovin’!